Was Tierney saying to the officials at Philly.com that he wanted to bring back the old gimmicks? According to people in the room, maybe. Does Tierney have a clue about digital strategy? According to people in the room, that's a definite no. Did three Philly.com executive producers leave Tierney's office thoroughly depressed? "We all felt the same way," said one of the Philly.com executive producers at the meeting. "Our hearts just sank. We haven't been sleeping. We haven't been eating." But Tierney, who couldn't be reached for comment, was just getting started. On Friday, Tierney sent an email to one of the four Philly.com officials that he had talked to the day before in the publisher's office. In the email, Tierney suggested that the website's lead story should be the story about possible pilot error in the plane crash that killed Lewis Katz. The day before, Tierney had met with three executive producers at Philly.com -- for news, sports, and entertainment -- and one official on the business development side of Philly.com whose title was director of product. Rather than email any of the executive producers from the news side, however, Tierney had chosen to lobby the business development guy. "Any chance we can get the Katz plane story into the top spot? Tierney emailed Ben Turk Tolub, director of product at Philly.com, from his iPhone. "Or Clinton in town?" Turk Tolub forwarded the email to Bob McGovern, executive producer, news, at Philly.com. "I just shook my head," said McGovern. It had been at least five years, he said, since somebody on the business side had tried to meddle with the editorial side. "I kind of thought, what are you paying me for?" McGovern said. "Maybe you don't need me." The Katz plane crash story had already been at the top of Philly.com for several hours on Friday June 13th. Then the story got moved down the website, though it was still near the top. It was some forty-five minutes after the Katz story had moved from the top position when Tierney emailed Turk Tolub saying he wanted the Katz story moved back to the top. McGovern complied with Tierney's wishes. It was one of his last acts. On Monday, all three executive producers from Philly.com, including McGovern, handed in their letters of resignation. 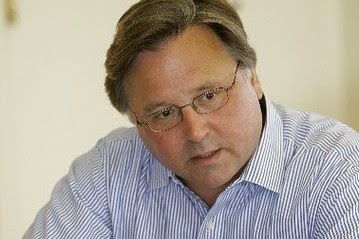 In an interview, Romanoski referred to the meeting with Tierney as just another "straw that broke the camel's back," a sentiment shared by others in the room. That same day the three executive producers quit, Lenfest, just back from Berlin and Vienna, gave an interview to Jeff Blumenthal of the Philadelphia Business Journal. In the interview, Lenfest, who before he left the country, dubbed himself interim publisher, denied that in his absence, Tierney was acting as de facto publisher. Lenfest said that Tierney was not even a candidate to become publisher. He was just a sales consultant. "We just asked him to come and help out with advertising because he had more success with it than we've had the last three years," Lenfest told the Business Journal. "But he's not full time. He has his own company to run." Chris Bonanducci, Vice President of Human Resources, was the company official who received three resignation letters Monday from the three executive producers at Philly.com. In his letter to Bonanducci, Romanoski said he had always "thrived in competition." "Unfortunately, too often at IGM, the opponents have come from within," Romanoski wrote. "That's not an atmosphere that breeds success." Romanoski wrote that he was proud of the work he and his colleagues had done at philly.com. "We took a stagnant collection of that day's newspapers and turned it into a living, breathing entity," he wrote. "If the industry is dying," he wrote, "it is via suicide. And it is being committed by a faction of old ideas trying to smother new ones without even realizing that the clock ticks closer to midnight with every one of their perceived victories." Leah R. Kauffman, executive entertainment and lifestyle producer, wrote Bonanducci that she did not want to "work towards unraveling the positive progress that Philly.com has made over the course of the last two years." "The culture of Interstate General Media, and our inability to move forward in the right direction will prevent us from innovating and competing in today's media landscape," Kauffman wrote. "Sadly, I cannot work for an organization whose future I no longer believe in." "For seven years, I have worked happily to help grow Philly.com into the largest news/sports/entertainment website in Philadelphia," McGovern wrote. "It's been a wonderful, rewarding experience. But recent ownership and management changes, and their effect on the direction of Philly.com, have caused me stress to the point of chronic headaches, insomnia and loss of appetite." "I cannot continue with so many concerns about the future of Philly.com and the company as a whole," McGovern wrote. "My health won't let me." In interviews, all three departing officials said they were tired of the infighting at IGM, where Philly.com was often trashed as the lowbrow digital companion to the Pulitzer Prize winning Inky and Daily News. Romanoski said he felt that Philly.com was always a "scapegoat" for the declining fortunes of the news business. "We're always getting dragged through the mud," he said. He was tired about hearing about being "click bait." What about the stories in the paper that nobody reads that are written specifically to win journalism contests, Romanoski said, just so somebody can hang a plaque on the wall. "What about contest bait," Romanoski said. "Contest bait is the reason why papers are going bankrupt. It's killing the industry." Meanwhile, leaked emails throw more doubts on Lenfest's claim that Brian Tierney is just a sales consultant. At Philly.com, Ben Turk Tolub, the "director of product" was redesigning the header on the free website last week. At the top of the website, next to the Philly.com logo, the director of product added a scripted "I" to represent The Philadelphia Inquirer, and a very-plain "DN" to represent the Philadelphia Daily News. "Hi Brian," Turk Tolub wrote Brian Tierney at 4:21 p.m. on June 12th, after the meeting between Tierney and the four officials from Philly.com. "Regarding the Inquirer & Daily News inclusion on Philly.com, I just wanted to share with you the header, which is site-wide-right now." "As you can see, we include the Inquirer 'I' logo and the DN logo across the site," the director of product wrote. "We also have this in the footer. This provides link to not only their sites but also to the digital replica edition. Please let me know if you think we should include the paper presence in any other way. We are happy to make changes to show our willingness to work together." "I am going to take you up on your invitation to provide ideas for a digital strategy," Turk Tolub added. "Looking forward to working with you, Ben." "Ben," wrote back Brian Tierney, "Great to be with you and thanks for all your help." Tierney, however, didn't think the letters were bold enough. "Any chance we could make it a bit more explicit?" "And I really look forward to hearing your thoughts, the folks who are living this and breathing it every day! See you next week. Brian." The next day, at 6:47 a.m. on June 13th, Brian Tierney had a change of mind about those digital logos. He didn't want just an "I" for Inquirer. "I'd like to see what it would look like with the word Inquirer in their font, etc.," Tierney wrote Turk Tolub. At 7:17 a.m., late riser Turk Tolub wrote back, "Will do -- I'll get on it this morning." At 10:17 a.m., Turk Tolub sent Tierney a mockup using the full logos. "This looks great," Tierney wrote back 12 minutes later. "Thank you." "Just spoke to systems," Turk Tolub wrote. "They are going to roll it out with next week's Wednesday hot fix build." Four hours later that afternoon, Tierney wrote back, but it wasn't to say thanks. He wanted to suggest to Tolub that the story about the Katz plane crash story be moved back to the top of Philly.com. If he's just a sales consultant, what's he doing meddling with digital design and strategy? And placement of news stories? As Buddy Ryan used to say about Eagles owner Norman Braman, you'll have to ask "the guy in France." Or in this case, the guy in Germany. Nice post, but not so good that you needed to post it twice. Also, you need a proof reader. Leaks airing the ventings of distressed managers amidst the turmoil of a change in direction in a company. This insider story makes for excellent reading. The article has some interesting speculations with even the hint of a conspiracy juice on the rich and famous. That is very good business - and suggests this savvy and insightful site knows how to run a digital news operation. I am less sure that this article and the one on June 13 will be good for the people quoted in the medium term, satisfying as going public can be in the heat of frustration and anger. Isn't this a case of business v. editorial independence tension heightened in a media turn-around? Writing and placing stories to satisfy advertisers in a trade for ad-sales turns journalism and commentary into advertising, which consumers strive to mute or fast forward through. Preserving editorial independence is important for credibility - which is important for marketing and sales objectives. But which advertiser, benefits from a "possible pilot error" article movement up the editorial list? I cannot think of a better story for organic Internet search traffic - especially one from Philly area domains and IP addresses, or for time spent on a site (another key metric) - if the article is on "Page 1" and is sure to be caught. What story is carried where and how, depends on what news site operators believe will build or sustain site visits (with any growth objective), cultivation of return visits (brand loyalty, share of mind and clicks), as well as "importance". Why does is matter where good ideas come from in any undertaking, and how does editorial prickliness survive? "Why do they pay me, if they are going to make the decisions?" is a common gripe with business change driven from the top, and from the top is required for, but no guarantee of success. Democracy is good government, but not good business. The impact and importance of marketing and sales now in digital media editorial is immense. Internet consumers are rarely bound on the Internet by yearly subscriptions and delivery service. Free sites, such as Huffington and Philly.com are ALL about driving new and return-clicks and time on site. It is painful to see the gore of this mindset change, but it makes interesting reading. - and I am really curious about what the heck may have caused that private jet explosion. Wow. That is kind of a long post. The first two lines are not a full sentence, and I do not appreciate that part of it. It is not proper to take license with the rules of grammar. The fact that you are just posting to an Internet site is not an acceptable excuse. Ok. Forgiven. On to substance. I think I understand your argument, but it is kind of meandering. As I read it, you are not being very sympathetic to the reporters and the editors that work at Philly.com and the Philadelphia Enquirer. You have to remember that they probably have to drink too much coffee to stay up for press deadlines and are at a higher risk of succumbing to chain smoking. Do you think that newspaper reporters and editors are any kind of a fair match for a business executive who has been brought in by a zillionaire? I do not think that it is any kind of fair contest. The reporters and editors are losing sleep, and they are even suffering some other symptoms. I do not agree with your point of view. Newspaper reporters and editors are more than a match for a business wonk in a PR battle. yeah, but they're all quitting their jobs. not sure that counts as a victory. who knows? maybe all this press is a good way to get the word out they're available. I dunno. seems kind of rash, when the guy whatever his name is hasnt got back from Luxembourg or Lichenstein. or wherever he went. he's not exactly young. hard to blame the guy for getting away to a nice spot. I mean its not like its nuclear war or anything. I thought those guys got fired. No. they quit, after the guy said he wanted some article in a different place or wasn't polite (enuf). Oh come on. Who is polite in this kind of mess? How about some honesty and no bs for what matters. The thing about the printing press was a killer. Some crying because the guy with the money said shut down a press that's burning money? Give me a break. I wonder when was the last time those people had real jobs. Hey dude. That's awesomely rude.